We begin the story of Isaac and Rebekah during the long struggle of infertility. 20 years, month after month, they waited. The stigma of infertility sears the soul. Imagine Isaac’s turmoil, like Abraham, believing that God abandoned them. Will God choose to bless a servant in his house to inherit the blessing? Is God rejecting Isaac? “I will make you into a great nation and I will bless you: I will make your name great, and you will be a blessing. I will bless those who bless you, and whoever curses you I will curse; and all peoples on earth will be blessed through you,” (Genesis 12:2-3). I can imagine that many infertile couples feel rejected or singled out for some reason to suffer. However, many of the people that God used in great ways were infertile or experienced a long period of infertility. I pray this brings you comfort. Infertility is not a sign of rejection. Before the twins were born their parents knew which one God had chosen to inherit His blessing. In this culture this was never done. The first born inherited the family’s wealth and land. However, this family knew they were special. They were set apart so that God could bless all the peoples of earth, but this doesn’t keep them from the dysfunction of manipulation. When we believe, “if it’s to be, it’s up to me,” we use manipulation to get our needs, wants, desires, and wishes met. This family exemplifies this and the consequences. Esau and Jacob were born. Isaac favored Esau because he was a man’s man. His appearance was big and ultra-manly, as well as his interests. He liked to hunt, and his dad liked to eat. Jacob on the other hand was content to stay at home among the tents. Parents, let’s be honest. We tend to favor a child that enjoys the same things that we do. It’s not bad. We have similar interest. Problems arise when we are unaware of our behavior. In some families one child becomes the golden child that can do no wrong, and one becomes the scapegoat that can do nothing right. She plans and then conspires with Jacob to steal Esau’s blessing from Isaac, resulting in Esau becoming angry and Jacob fleeing for his life. Rebekah’s family was torn apart by her own manipulation. Unfortunately, we do this also, when we use manipulation to get what we want. Like Rebekah, we don’t trust God to fulfill His promises to us, and we set out to get it ourselves. God promised her that the younger would be the son who would inherit the blessing. At first, this stumped me. If God planned for Jacob to receive the blessing, then why did he have to sin to receive it? Manipulation of someone else is always wrong because the root is selfishness and pride. God resists the proud. From Abraham to Jesus, God initiates and guides His plan of salvation to completion. He involves humans, but He is the only one involved in making the covenant. Jesus is the only one who died for the sin of the whole world. If we look back at Genesis 15, Abraham collects all the sacrifices and lays them out as instructed, but he’s asleep when God makes a covenant with him. God, alone, walks through the sacrifices and covenants with Abraham to fulfill the promise to make him into a great nation and bless all the peoples of earth through him. The answer is that it didn’t matter which son Isaac blessed. God’s the giver of the covenant, not Isaac. Rebekah’s foolishness led to the division of her family. May we apply this to our families today. May we see when we are manipulating our family members to get our needs, wants, desires, and wishes met. Facing rejection is scary. If we ask for what we need, we may be rejected, but the alternative is selfishly and pridefully tricking and controlling the people we want to love us. In the end, we tear down with our own hands the house that we want to build up. Release the shame of having needs. Accept the truth that everyone needs to be loved, feel safe, encouraged…etc. Accept that everyone has limitations. Tip #2 Learn to ask for help. Asking for help is not weakness. It’s BRAVE! When we learn to ask for help, we step out of denial that we are living as if we are a self-sufficient god. Only God is self-sufficient. We accept our limitations. We humble ourselves before another person. All these things take strength of character and wisdom. Only a fool thinks he can do everything on his own. Learning to ask for help is vital for self-care. New and young moms, please know, that the older ladies in the church would be ecstatic to come over and hold your baby, so that you can mop the floor or get a long shower. Yes, God gave you those children to raise, and He has also blessed you with women in your life who want to help you raise them. Don’t refuse God’s blessings in your life. When we don’t ask for help, we are refusing God’s blessings of sisters, mothers, brothers, and fathers in our lives. These are the very people who can help us love the life we live! 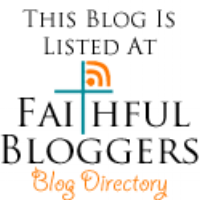 ← Meditations: God is trustworthy. Thank you. God is so good to use His Word to bring healing, and learning to ask for help has been healing in my life.